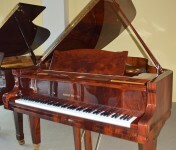 Since 1859, August Förster is one of the premier piano manufacturers today. Made in Germany, each August Förster piano is built by highly skilled craftsmen and takes months to complete with outstanding style and quality. No more than 120 pianos are made each year. What’s unique about August Förster pianos? 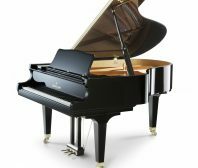 Not only do the pianos have a strong cast iron frame which can withstand the tension of strings of up to 20 tons, they have added special back posts for a perfect stability for tuning. Each August Förster piano is individually handcrafted. To own an August Förster piano means you join a super elite club of piano owners of these amazing instruments.